Indian Army rifleman Aurangzeb was abducted and killed by militants while he was on leave in June last year. 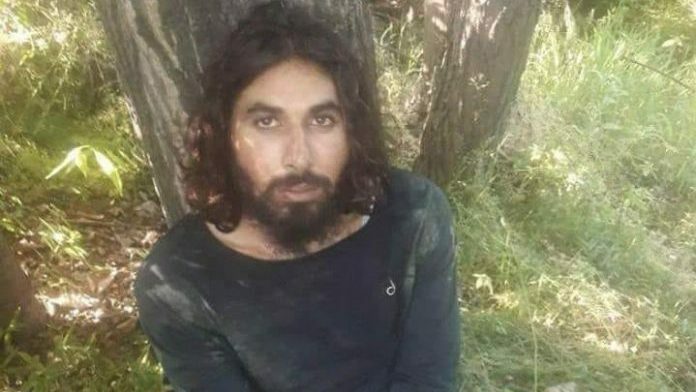 New Delhi: The Indian Army is investigating two soldiers and a civilian over suspicions that insiders may have tipped militants off about the whereabouts of rifleman Aurangzeb, who was allegedly abducted and killed last June. The civilian, sources said, was a relative of one of the two personnel. According to sources, the Indian Army Court of Inquiry suspects the insiders may have done so “knowingly or unknowingly”. At the time of his death, Aurangzeb was deployed with the 44 Rashtriya Rifles from his parent unit, 4 Jammu & Kashmir Light Infantry. He was posted at the 44 Rashtriya Rifles camp in Shadimarg, Shopian. In keeping with Army norms, Aurangzeb served as a “buddy” to Major Rohit Shukla, an officer who was challenged by Hizbul Mujahideen commander Sameer ‘Tiger’ in a video in April 2018 to take him on. Less than 24 hours after the video came out, Sameer, a notorious terrorist, was killed in an encounter that involved both Major Shukla and Aurangzeb. The rifleman was on his way home for Eid when he was abducted by terrorists and shot dead on 14 June 2018. Soon afterwards, a viral video showed the abductors questioning Aurangzeb about an anti-militant operation. Surprisingly, the militants seemed to know he was Major Shukla’s “buddy”, which is information of a highly classified nature. While the Jammu & Kashmir Police are also investigating his murder, sources said the probe “is primarily being done by the Army since they are looking within too”. Investigators, according to sources, are worried about the fact that the terrorists seem to have managed to get a tip-off, plan the kidnapping, trace Aurangzeb’s route, track down the vehicle he was in, and execute the abduction in less than “15-20 minutes or so”. Sources told ThePrint that the Aurangzeb’s departure from the camp on leave was marked by a violation of the Indian Army’s Standard Operating Procedure (SOP). According to sources, the 44RR camp is located a short distance from the main road. Some soldiers, they said, stopped a private vehicle on the main road and sent it towards the camp for Aurangzeb to board. The SOP dictates that soldiers on leave should not use random private vehicles. “[At the camp] Aurangzeb would have taken his time to come and then the vehicle left,” said a source. “The vehicle was stopped by terrorists, who had an Alto car, just 700 metres from the main road and he was kidnapped,” a source said. Sources said a lot of insiders were questioned in light of the abduction and murder, with two soldiers “coming under deeper scrutiny” over two months ago. They added that the duo had not been detained or arrested, but are currently not allowed to leave the camp and have not been put on active duty. A local woman is also said to be under the scanner for Aurangzeb’s killing. One of Aurangzeb’s suspected abductors, Zahoor Thokar, an Army deserter who had joined the Hizbul Mujahideen in July 2017, was killed in an encounter in December last year. Auranzeb was our protector. Our brother. Our Contryman. Let’s ensure he and his family get justice. And ‘gaddars’ get a example for life.